Punks, bikers, hippies, beatniks, goths, ravers, drunks, druggies, homos, and the surfer. All iconic, but more often conjurer up a variety of stereotypes. But what I really want to write about is Matthew McConaughey for a moment. 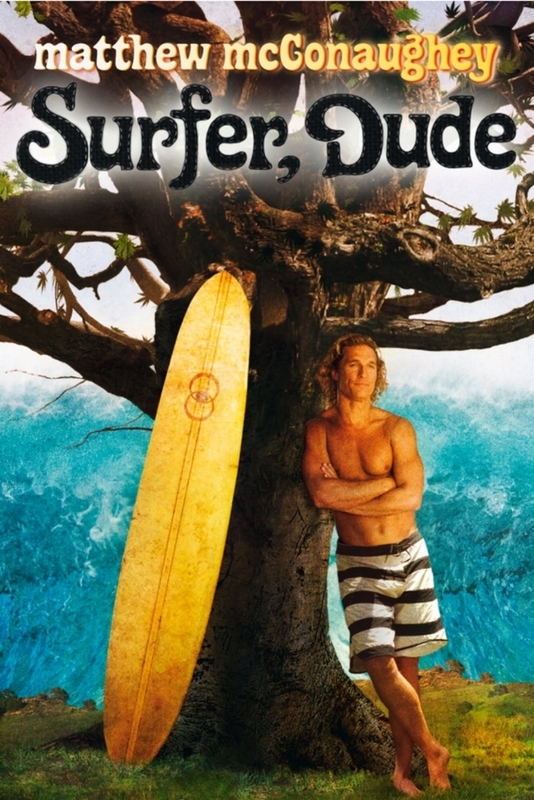 Surfer, Dude was before True Detective, during those Failure to Launch middling years when he was hanging out with Lance Armstrong. I like to remember him always the way I originally met him. But this man is some where who lives and loves living as a surfer, a cannabis smoker, a naked bongo player and an actor. So this part might just be his Jeff Spicoli. And as some of this is to watch, we just needed to have this one to get to the amazing stuff McConaughey would do later. Come at me bro,,,so long as you got weed! Seventeen years later and the world we live in needs a Super Troopers sequel so we may make it through another news cycle of nonsense & potential war. The pairing of this release on Four Twenty is the cannabis infused salve I will smear all over my body and slide around on the hood of somebody's car in the parking lot of the multiplex before I go see this. Mind where you park and a happy stoner's holiday to all, including you, Mr. President. I see you recently got something right for us.